Blog Archives - Web Design | Wagner Web Designs Inc.Web Design | Wagner Web Designs Inc. If you haven’t planned your marketing strategy yet for the (new) year, it’s time to wake up! You can bet that your competition is not asleep and they are working towards pushing their site to the top of the search engines. This means you need to do the same. One of the best ways to do that is to engage in social media. If your target demographic is Generation Z, (born from the mid-1990’s to the early 2000’s) members of this group control more than $50 billion in spending power, soon to become the largest consumer spending group in the world. Social media posts raise awareness, exposure and will affect your ranking negatively without it. 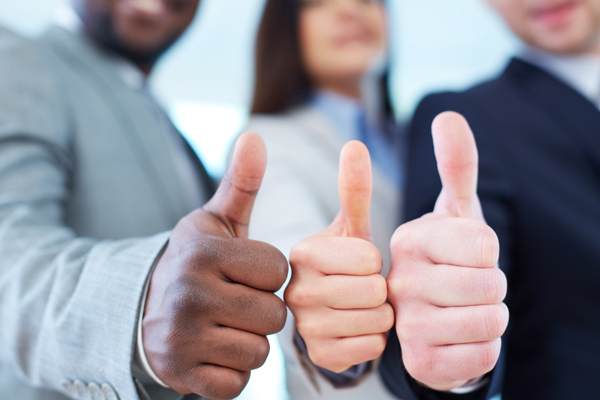 If you haven’t engaged in social media yet for your business, you may be missing out. Ask how we can grow your business through social media. We offer reasonable packages that are custom fit for your business. A neighbor speaks highly of you. A satisfied customer recommends your service. It’s what many times keeps us in business. But what about your online reputation? Are you aware of how your business is reflected online? Testimonials on your site are not worth the same weight as testimonials from third party verified sites such as Google, Angies’ s List, LinkedIn, Trip Adviser and Yelp to name a few. Google even uses how many times your company has been reviewed as part of their ranking algorithms. You may have seen those little gold stars (oh how we all love them!) next to listings. They are an important indication of how you are perceived to your purchasing public. Google your company name, and your name. Make a note of all sites that come up, and read. If your website, Facebook, or Linkedin profile does not come up first, you are not controlling your reputation. You are letting others that write about you dictate your brand. Your web developer should be able to have your website come up first, controlling what people will see first. Review sites should follow. Make sure you are asking satisfied customers to review you online, and have a direct link on your website to make it easier for them to do so. Recent research shows the majority of parents and teenagers check their mobile devices at least every hour. Nearly 50 percent of parents and more than 70 percent of teens feel the need to respond to texts and other notifications immediately. Concerns about the risk of digital addictions has motivated an organization called Truth About Tech to be created. Founders James Steyer and Tristan Harris are technologists who were early employees at Facebook and Google. Alarmed over the ill effects of social networks and smartphones, they have banded together to challenge the companies they helped build. Truth About Tech aims to raise awareness about the risk of constant connectivity. The campaigns’ goal is to educate parents, teens and all users about the addictive quality of cell phones and other devices and also to come up with solutions, including reaching out to the tech giants to request design changes. There are many techniques used by the tech companies such as Snapchat, Google and Facebook to keep you engaged. It is addiction by design; much like the tobacco companies crafted a deliberate attempt to create addiction. The colors, beeps, and pop ups all are intended to keep you hooked. 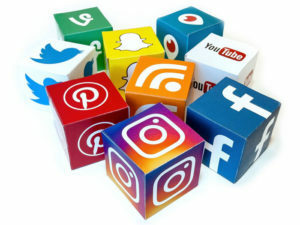 The platforms that are based on sharing are promoting this addiction because the sharing creates ad sales and helps run their revenue stream. The organization feels that there is a growing concern how it affects users and feels there is a moral and ethical responsibility to raise awareness and take steps to address this issue. It’s time to have a conversation with the tech giants. Companies like Apple and Samsung can do more to create parental control settings in these devices such as muting sounds and colors. If enough pressure is put on these companies, we may expect to see some changes. Stay tuned! Follow these simple steps to achieve higher google rankings. Need help? Give us a call at (914) 245-2626. As a web developer, I am on my computer all day. I have seen an alarming escalation in scams, hack attempts and ransomware cyberattacks. Scams are schemes to con you out of your money. They can arrive by, phone call, text message, or email. Computer hackers use computer viruses to gain access to your computer details, to steal your money and identity, then scam you. 1. Use passwords that contain a combination of upper case, lower and unusual characters. It’s a common misconception that a person is trying to guess your passwords. There are robots scanning the internet with sophisticated algorithms that are attempting to unscramble your passwords. The harder it is, the least likely you will be compromised. 2. 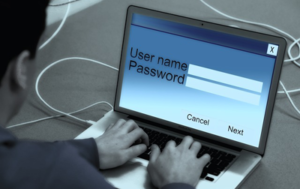 Most people cannot remember these passwords: You can install programs for free such as Roboform, lastpass or dashlane. You need only remember the one password and then all are stored. It also good practice to change your most important passwords (banking, shopping) annually. 3. Install anti virus software and set it up for automatic updates. 5. Email is NOT secure. I can’t tell you how many times my customers have send credit card information via email. • If you get an email from your bank, or store asking for you to “re enter your password” do not! They will not call you to ask you for security to reveal your password. They sometimes send an alarmingly large “payment due” email with an invoice. Do not open the attachment! And never click on links in any email that may ask for personal information. • Telltale signs of scam emails are misspellings, or if you hover your cursor over the links in the email, they do not go to legitimate urls. • You may have typed in a wrong url by mistake and are taken to a scam site (such as twwitter.com) There are almost 9000 scam domain names according to a recent study published in AARP magazine. They look like the real sites, but are not. Then when you log in, they steal your log in info. • Some scammers call and claim to be computer techs associated with well-known companies like Microsoft or Apple. Other scammers send pop-up messages that warn about computer problems. They say they’ve detected viruses or other malware on your computer. They claim to be “tech support” and will ask you to give them remote access to your computer. Eventually, they’ll diagnose a non-existent problem and ask you to pay for unnecessary – or even harmful – services. If you get an unexpected pop-up, call, spam email or other urgent message about problems with your computer, stop. Don’t click on any links, don’t give control of your computer and don’t send any money. Many times a pop up will encourage you to download a free item such as a PC cleaner. Do not download, it can be malware installed which will cause you to have pop ups constantly appear and they suggest calling a “technician” to fix. A few years ago, Sony was in the news as sensitive emails were hacked and released. HBO was recently hacked by a group called Ourmine Hacking Group. Hackers gain access to sensitive documents, passwords and emails. They blackmail a company that if demands are not met, they release sensitive materials. Web sites, especially WordPress sites are vulnerable to hacking at the server lever. They are not after your small company per say, nor do they ask for money. They infiltrate and create outbound links and fake home page messages. (haha you’ve been hacked by…) They do it to for fun and they cause major harm to businesses. Unfortunately, sites are vulnerable to hacking. The best you can do is to check that your web host and or provider has updated plugins, secure passwords and regular backups. If your site is hacked, it’s a lot easier to replace the site with the backup then try to clean the code. Ransomware is a computer virus that you can get from opening a malicious document or email. It can even be from people you know, because their email addresses may be stolen. When you open the malicious file in your pc, your computer will either freeze, or ask to run the app. Files will suddenly become encrypted and ransomware notes will be dropped into every folder. The document goes on to say that unless you have the encryption key, you cannot access your files and if you try to remove the virus on your own, the files will be permanently destroyed. You usually have a few weeks to comply with their instructions to pay for the software and the key. They demand each victim to pay using Bitcoins, with various ransom demands. It is strongly recommended not to pay the ransom as the activations keys may not decrypt the data entirely. Cerber -flooded the internet in March 2016. Wanna cry and Peyta infected Microsoft in May 2017; 230,000 computers in over 150 countries. The warning here – always use Microsoft updates automatic setting.